I (Adam) remember the day we brought home the new 1977 Cadillac Seville. With a stylish light tan exterior and a dark brown top, it had more space for the family, the beige leather seats were soft and comfortable, it boasted automatic locks and windows, it was our first car with air conditioning, and best of all it had a fancy 8-track cassette deck. I still clearly remember the music collection that my parents kept in that car: there was a bright blue Barry Manilow Live cassette that I would obsessively sing along with until I lost my voice or until my parents couldn’t take it anymore and asked me to stop. My mom worked in real estate, and this was the new luxury car for showing clients around town, an impressive replacement for the dark blue ’65 Volkswagen bug that she had been driving since her 16th birthday. Despite its classy appearance, the Cadillac ended up having lots of problems over the years. When I was fourteen, it caught fire one night as we were driving home through Topanga Canyon. The engine started to make an awful sound, and when I looked out the window, flames were shooting out from the sides of the car. We immediately pulled over, and ran as far away as we could. There we stood, helpless, on the side of the road in the middle of the dark canyon, waiting for the car to explode. I kept complaining that my new Beatles poster was still in the trunk, which certainly didn’t help the situation, or my parents’ mood. Their car was up in flames, about to blow at any second, and here I was worried about a five dollar poster. There were not many cars on the road that evening, and this was before cell phones, so all we could do was watch and wait. Finally another car approached and a man jumped out with a fire extinguisher. He ran to our burning car, put out the fire, saved the family Seville, and most importantly, saved my Beatles poster. Two years later, this would end up being my first car, although I didn’t keep it much longer as it continued to have mechanical problems. My love for The Beatles grew deeper, my hair grew longer, and the Seville was replaced with a 1971 Volkswagen van that I would take to Grateful Dead shows and decorate with colorful stickers. In the late seventies, we did most of our grocery shopping at a small local store called Alpha Beta which is no longer there. Frequently they would print recipes on the back of the receipts, and one in particular caught my mom’s attention. 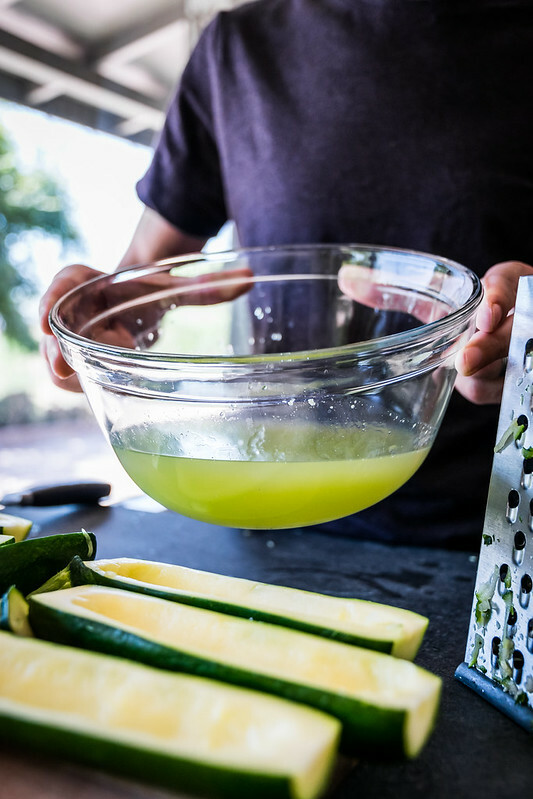 Cleverly named zucchini houdini, it looked delicious and easy to make for her husband and two young boys so she decided to test it out. From that day on, this magical dish became a family favorite and she continued to make it for years to come. Time passed, I moved out, and forgot all about it until recently. When I emailed my mom asking if she still had the recipe, she replied with a photo of the original receipt dated “June 1979” in faint handwriting. While my mom’s penciled letters from 1979 have slowly faded, the spirit of this recipe is stronger than ever. 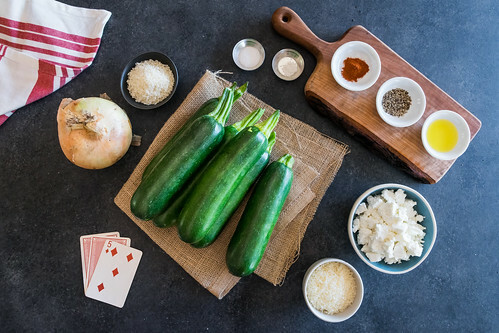 And now is the best time to make this entertaining dish since we are right in the middle of zucchini season. 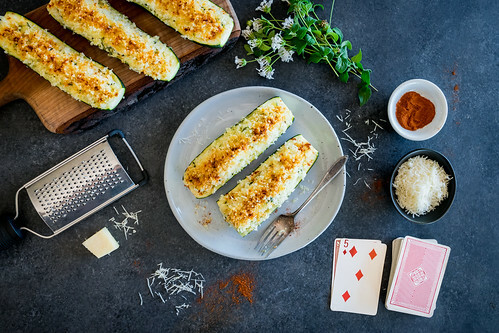 Here, fresh zucchini is cut in half and filled with creamy goat cheese, minced onion, and grated zucchini, then topped with parmesan cheese, panko breadcrumbs, and seasoned with flaky sea salt and smoked paprika. The filling is tangy and smooth and we have updated it by using goat cheese instead of the original cream cheese. 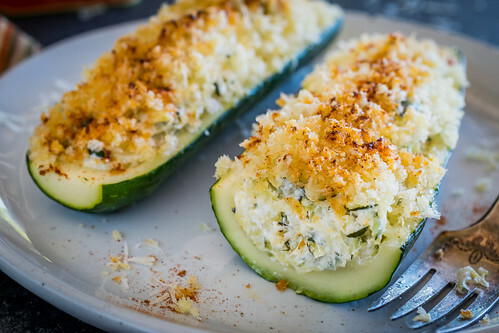 We also added the crispy cheesy topping which complements the tender zucchini, giving it a rich smoky flavor and a beautiful golden appearance. This is just as good as I remembered, and now it’s even better! Place a steamer basket in a medium pot, add a few inches of water, and bring to a boil. 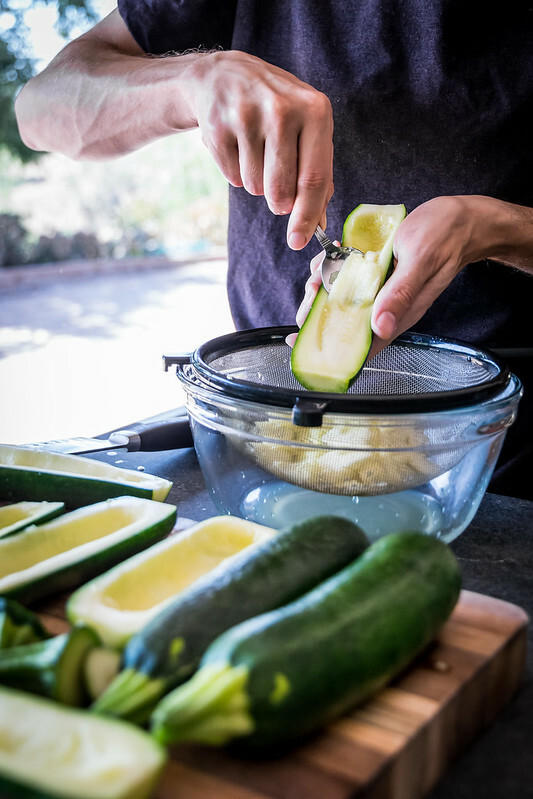 When boiling, place all the zucchini in the steamer basket, then cover the pot and steam until almost tender, 10 to 15 minutes. 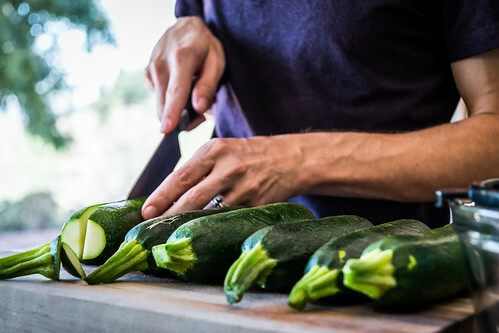 Remove the zucchini with tongs and let cool slightly. Preheat oven to 325°F. Place a fine mesh strainer over a medium bowl. 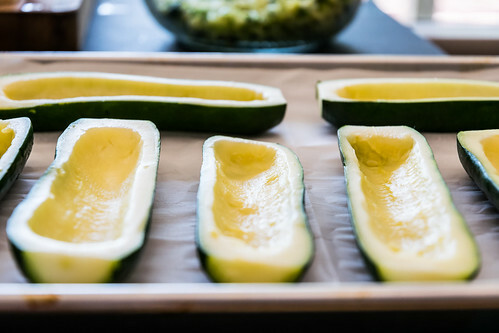 Trim the ends of the zucchini, then slice four of them in half lengthwise. Scoop out the centers, leaving a half-inch shell. Place the scooped-out pulp in the fine mesh strainer to drain. 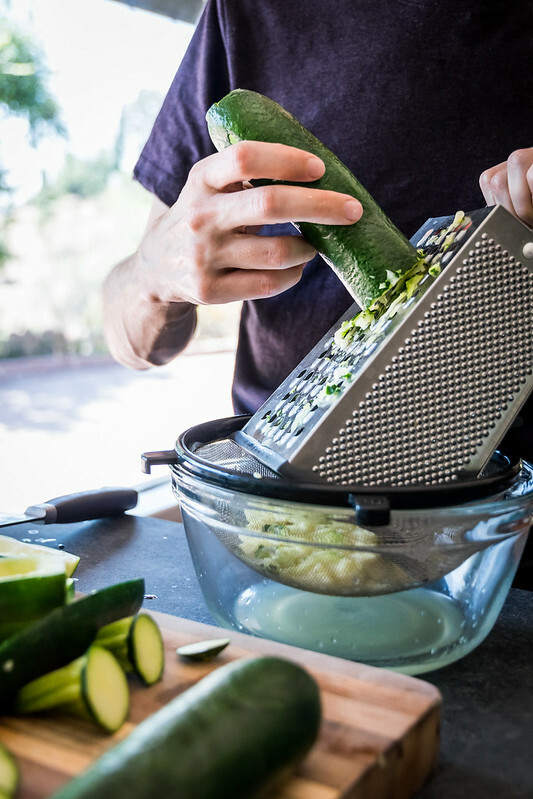 For the remaining two zucchini, use a box grater to coarsely grate them. This can be done directly into the strainer if desired, or grate them on a cutting board and transfer them the strainer after. 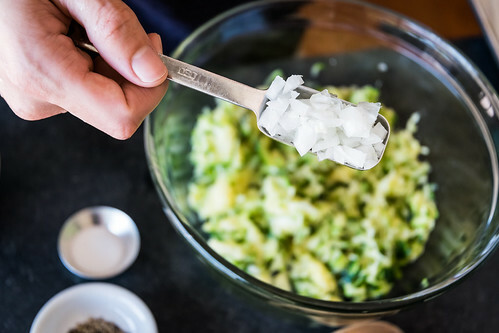 Either way, squeeze the pulp and grated zucchini with your hands to release excess water. 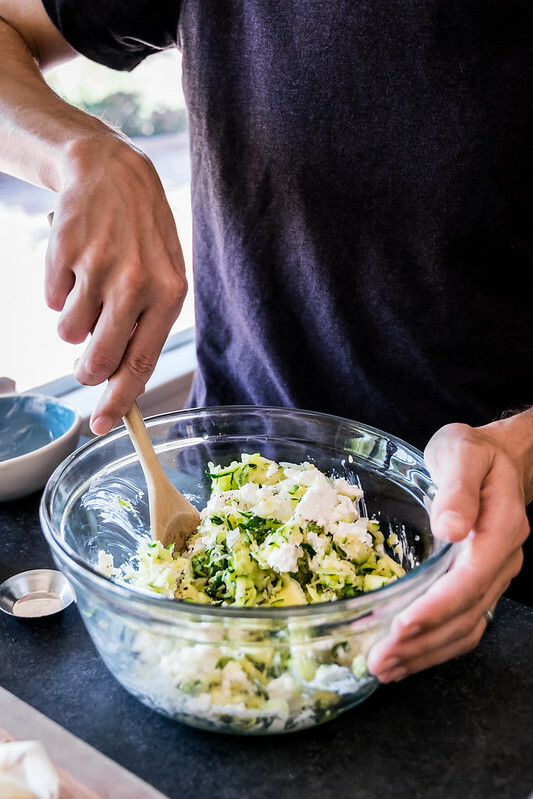 Discard the liquid, wipe out the bowl, then place the squeezed zucchini in the bowl. 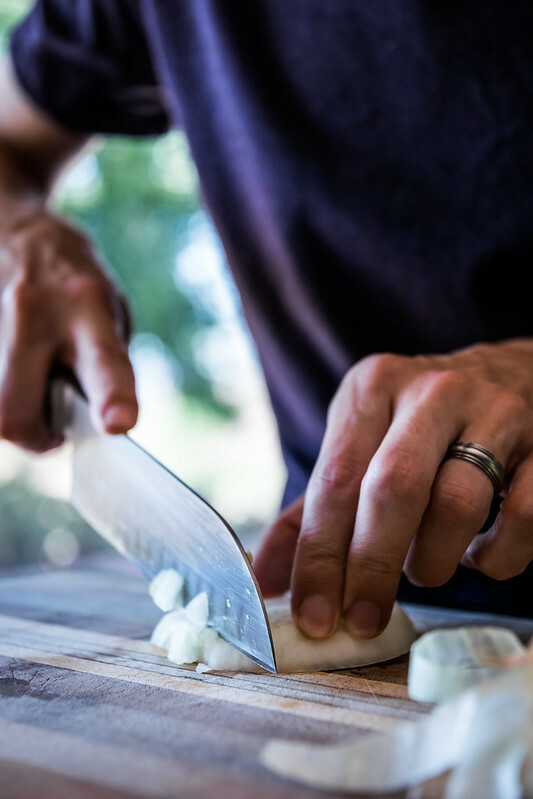 Add the goat cheese, onion, salt, and pepper, and stir until smooth and evenly combined. 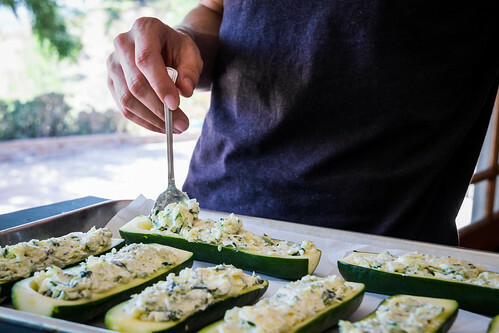 Arrange the 8 zucchini boats on a parchment-lined baking sheet. 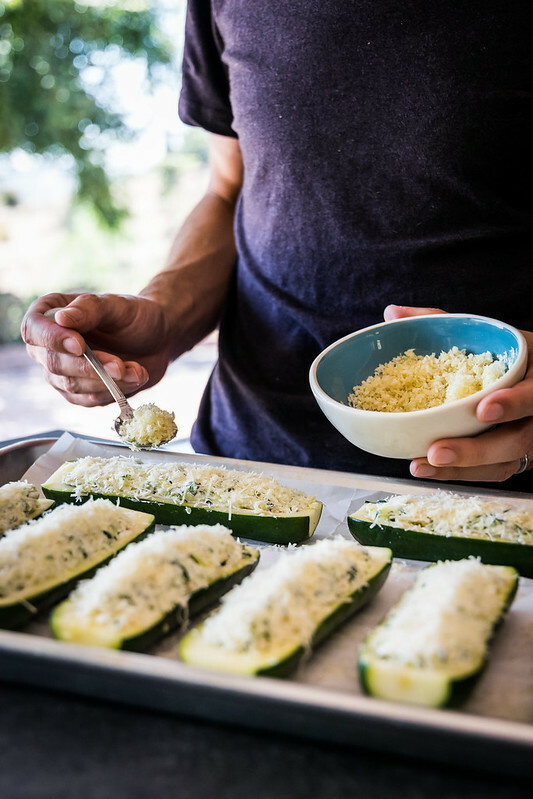 Fill them evenly with the goat cheese mixture, then sprinkle 1/2 tablespoon of grated parmesan over each boat. In a small bowl, mix together the panko breadcrumbs, olive oil, and flaky sea salt, then sprinkle this mixture evenly over the boats. 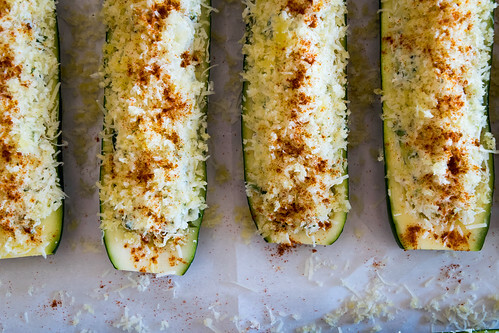 Top each zucchini with a few pinches of smoked paprika, then bake until the tops are slightly golden, about 15 minutes. Serve hot, and enjoy! 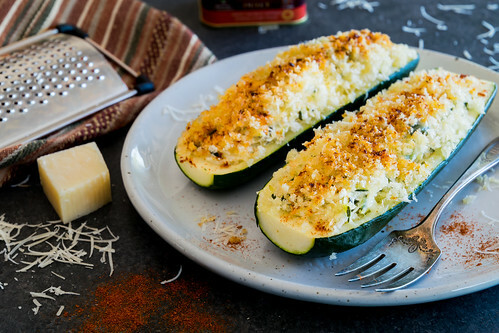 — If you want to make the breadcrumb topping extra crispy, after baking the zucchini, remove the baking sheet from the oven, and turn on the broiler. 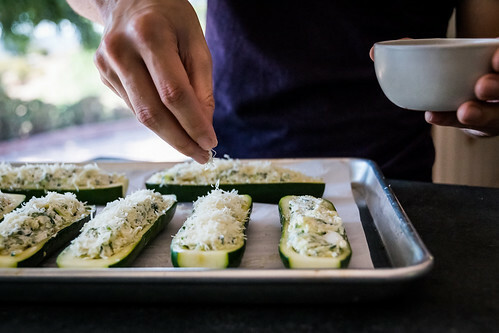 When hot, broil the zucchini until the tops are browned, about 1 to minutes. — This recipe can be made gluten-free by substituting gluten-free breadcrumbs for the panko. Also, it can be made vegan by using a vegan cream cheese instead of goat cheese, and vegan parmesan or nutritional yeast instead of the parmesan cheese. I’m so glad the car didn’t explode with your Beatles poster inside. 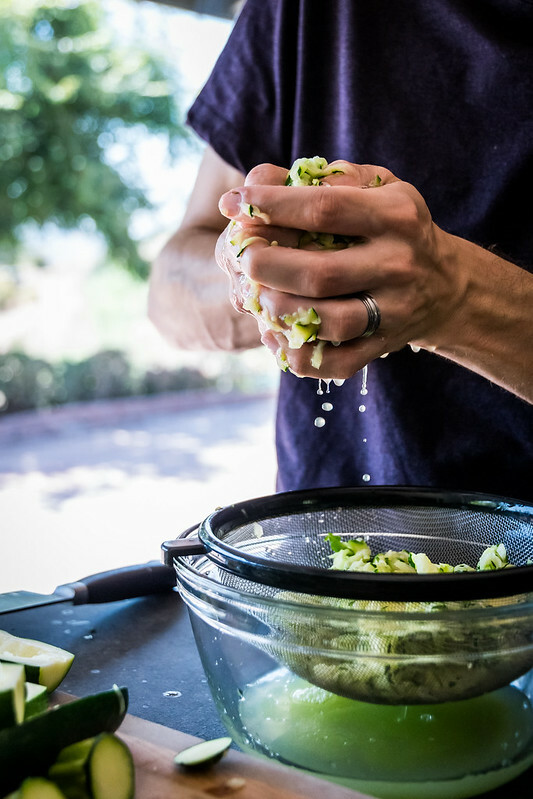 Beautiful photos, and we all need a new zucchini recipe right about now. You got my vote! haha we’re glad the poster survived too! 😉 And thank you so much for your vote, that really means a lot to us! Luv the story about this recipe, I was a huge Barry Manilo fan!!! Sure hope you win the big prize, I will keep voting for you, good luck!! !